Here at INCCS we are dedicated to helping your business grow. 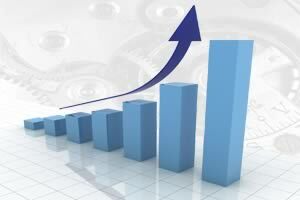 Our services can help your profit margin go through the roof. We can help you convert your business strategy into reality and give you the edge to take your business to the next level. INCCS aims to be the one-stop shop for all your business requirements relating to Asia. We specialise in the markets of India & China. We provide a bouquet of individual services that include translation & interpretation, sourcing and vendor liaisoning, international procurement, market research & designing market communication, exporting, specialized language recruitment & placement, and assistance in organizing business delegations / trade fair / exhibition participation & other liasing services. We are also a specialized project management firm offering end to end project management services - from concept to commissioning. Explore our services for more or feel free to contact us if you have something special in mind that you would like us to do. With our help you can make any of your ideas work for you to make you profit. You may be an individual who wrote a book and want it translated and marketed in Asia. You may be a small business owner needing that one equipment to set you apart from competition. You may be an entrepreneur par excellence in the domestic market raring to test your product in the Asian market. You may be a large corporate entity that needs a power plant set up. We take your idea, and use our experience to transform it into a roraring success. Why not explore our translation services for that book? We will even market it for you! Don't restrict your success waiting for that equipment any more. Try our procurement services today. Don't let borders restrain you. Our unique insight into Asian buyer behaviour coupled with hassle-free export services are at your disposal. Make that power plant a reality. Use our unique C2C (Concept-to-commissioning) project management service today! Our services are a product of vast experience, diligence and continuous improvement. Our translation services are manual and we have native Chinese and Indians to ensure that our deliverables are correct in both language and context. Our project management team comprises of certified Master level black belt Six Sigma experts with unparalleled experience in project designing and execution. Our market research team has a huge database of vendors & buyers and exceptional knowledge of Asian markets & customs. Our services are customized to suit your needs - be it pricing, time-to delivery and even your involvement. For e.g., want to source equipment from China? Choose how involved you want to be. Simply give us an idea of what you want and sit back while we do all the work - vendor selection, negotiation, bid execution, delivery and installation!
" INCCS is the greatest thing since sliced bread!" Native Chinese & Indian management. "INCCS was great! I was very skeptical at first about sharing my sourcing needs with some one else for fear of having to pay through my nose for the Crane my company wanted commissioned, but INCCS really came through for me. Not only did they give me a great choice of eligible vendors who met our needs, they also helped us save mega bucks by negotiating so hard it felt as if they were the ones buying and not us!!" Copyright 2015 | INCCS | All Rights Reserved Reproduction of any content of this website including names, logo, text, graphics, etc. will be liable for prosecution.